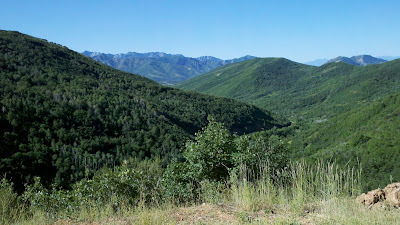 I was in Salt Lake City on business, but I couldn't resist taking a road trip through the mountains while I was there. I had intended on going back to the rental company and getting myself a convertible to use for the weekend. It's probably a good thing I didn't. As I got to the top of the pass the temperature dropped to the low 60s and even hit the high 50s a few times. I had decided given that I didn't have a convertible that I would put the windows down and enjoy the fresh air while I drove. I was freezing; and I was stubborn, refusing to put the windows up (and even putting on the heat at one point to stave off the extremely cold mountain air). From 90(+) and very hazy with poor air quality to clear crisp air in the mountains; it was a good day for a drive. 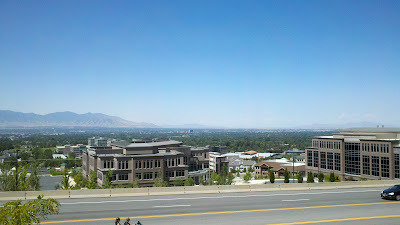 I found my way from my hotel on the west side of the city to the entrance to Emigration Canyon. Emigration Canyon Road leads from the campus of the University of Utah up the Emigration Canyon Trail. The road is small and twisty and quite fun to drive. 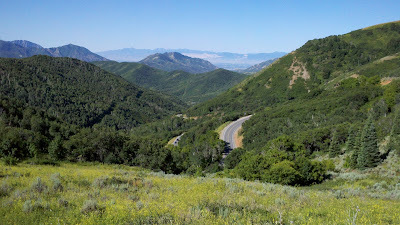 From there the road heads down towards Henefer, which sits in a plain high up in the Wasatch Range, east of Salt Lake City. In Henefer I turned south and followed the flat lands past a couple of reservoirs where a number of people were out boating. I stayed on the small roads paralleling the interstate through that area and kept my speed such that I could see the scenery but enjoy the drive as well. 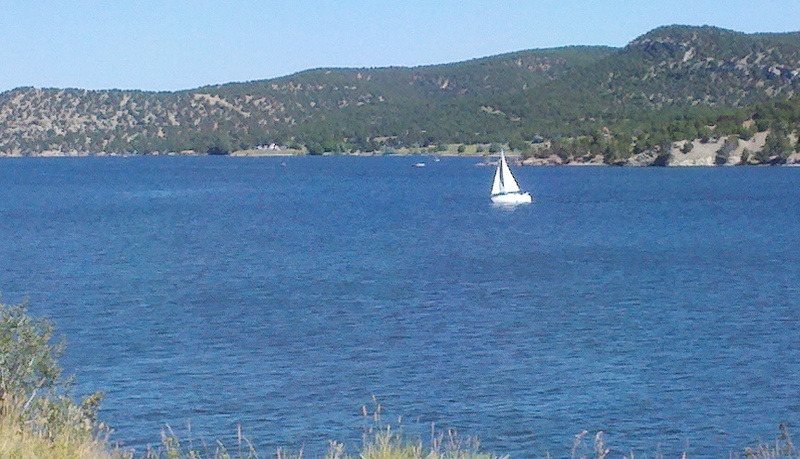 A few miles south of Rockport State Park I turned back west again and headed towards Park City, the site of the 2002 Winter Olympic Games. Like most little mountain ski towns that host the Olympics, the place is massively crowded during the summer tourist season. The valley has numerous very famous ski areas and looks like it would be a great place to come back to in the winter. 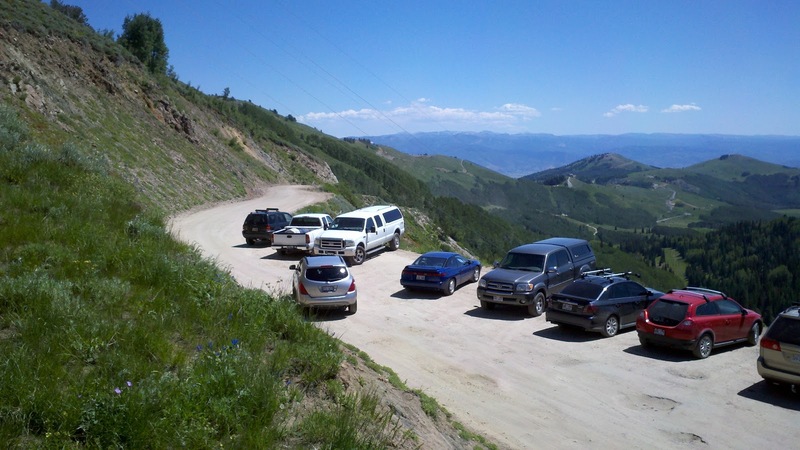 The road leading up and out of Park City was steep and in places, more than a little frightening. Only about a lane and a half wide, I found myself on a dirt track cut into the side of a mountain without a guardrail. It was like our own little version of the Bolivian Death Road. Much shorter (thankfully), but a tad nerve wracking none the less. Throughout all of this the road was very twisty and really put the rental car I was driving, a Chevy Equinox, through the wringer. The steep inclines and poor low end power made the drive a bit laborious, but enjoyable despite the vehicle's weakness. Throughout all of the mountain roads and passes the views were amazing. 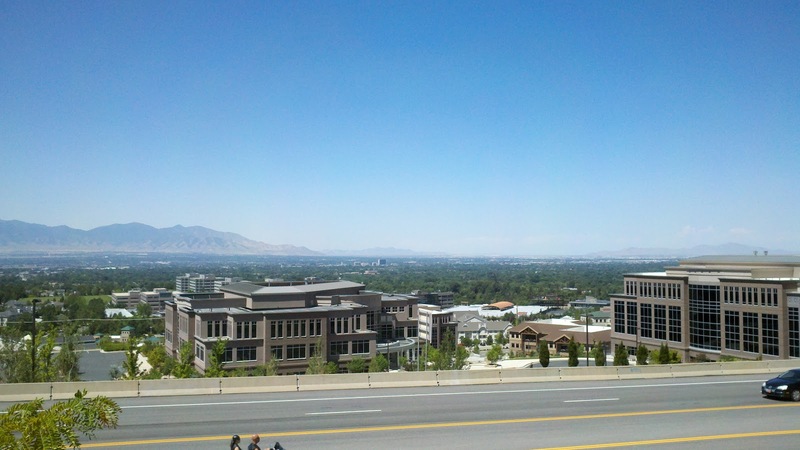 In Salt Lake City just a few miles to the west there were air quality warnings and the haze was impossible to see through. The mountains I was driving through sit just to the east of the city and I could barely see them from my hotel; they were just dark silhouettes on the horizon. Once in the mountains that haze was mostly gone and the views were staggering. Once over the pass west of Park City the road was all downhill back to the Salt Lake City. State Route 224, to 152 to 190 down through the valley back to the Salt Lake area. The drive of around 100 miles had taken me close to three hours and an enjoyable three hours they were. If you find yourself in the Salt Lake City area and have a few hours to spend, the roads through the mountains are fantastic, whether to drive, hike or bike they are well worth the time.